Dreambaby®is an internationally renowned child safety brand available in more than 100 countries. We pride ourselves on manufacturing top quality, durable, products for the newborn to 3 years age demographic. 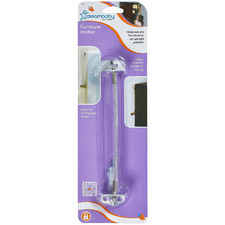 Dreambaby®products are designed to make your home safer. Whether it’s in the kitchen, bathroom, car, or out and about, we can help put your mind at ease with award-winning safety gates, locks, latches and more. Dreambaby® was started in 1998. Their aim was to create a new brand focusing on child safety products, developing new products to reduce the number of avoidable injuries to children from household accidents such as poisonings, slips and falls, cuts and bruises and many other hazards which result in thousands of injuries, and sadly, some deaths of young children, every day. Initially they sold their products in Australia and New Zealand, in about 6,000 outlets including DIY Home Improvement stores, mass merchants, grocery, drug, specialist and independent stores. 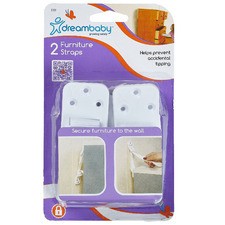 Since 2000 they have exported Dreambaby® worldwide. Today they have distributors in more than 80 countries. In 2005 they established Tee-Zed Products, LLC to market Dreambaby® throughout the USA. In 2011 they created Tee-Zed Products Ltd to distribute in UK and Europe. There are now more than 400 products in the Dreambaby® range and that number is increasing each year.